It is difficult to comprehend why Kathryn Bigelow is not a contender for the Best Director at this year’s Academy Awards. Perhaps it is the subject matter for Zero Dark Thirty that kept the nomination at bay, although it is up for five other nominations including Best Actress for Jessica Chastain, who has already been awarded the Golden Globe for Best Performance by an Actress in a Motion Picture - Drama, and deservedly so. The title of this film is US military jargon meaning ‘for the dead of night - 12.30,’ being the moment in May 2011 when US Navy SEALS raided the compound where Osama bin Laden was hiding in Pakistan and, well, the rest is history… history, the filmmakers tell us, as it was recorded in official documents and in interviews with many of those involved in the action seen on screen. Authenticity is what they were aiming for and it works. This is a faithful, almost documentary-like, reconstruction of events spanning a decade - the hunt for one of the world’s most ruthless terrorists by a dedicated team of CIA operatives who never gave up on the idea of getting their man. The team is represented by a young woman whose job it was to target terrorists, their money men and the couriers who provide the links between them. Maya (Jessica Chastain) was recruited straight from university and this is all she has ever done in the workforce. Up against a mostly male barrier, she sets out to make herself the forerunner in the hunt and she’s prepared to go to any lengths to get the information she needs. The torture scenes are disturbing viewing as they clearly show how the usual rules of warfare no longer applied. Despite a TV grab of President Obama addressing the nation declaring that he intended to make the use of torture illegal, the on-screen visuals show us how hollow those words were. A very difficult scene depicting the torture of a detainee, Ammar (Reda Kateb), shows how terrifying it is to be at the mercy of a ruthless interrogator who won’t give up until he succeeds in getting what he wants. But we also see, in addition to torture, how more traditional spycraft such as electronic surveillance and bribery (which in one scene is particularly gob-smacking) were also required for the CIA to accomplish its mission. 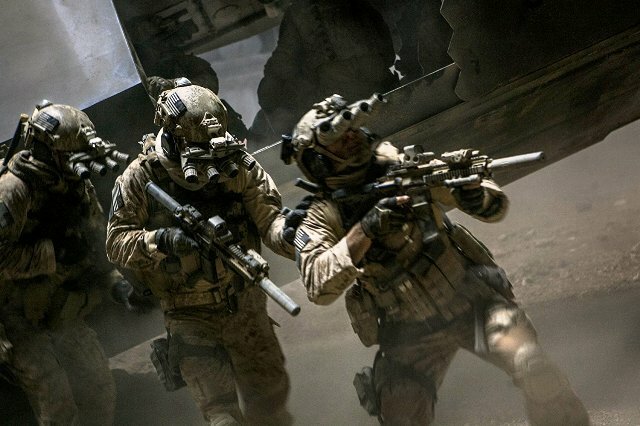 The final scenes are brilliant as stealth Black Hawk helicopters circle bin Laden’s compound, although Aussie cinematographer Greig Fraser was overlooked for an Oscar nomination, and Alexandre Desplat’s score adds to the tension. The art directors and set decorators had an interesting time setting up the locations and reconstructing bin Laden’s Abbottabad house in a school in Chandigarh, Northern India. The reconstruction is apparently exactly the same as the original house, according to the research notes. Scriptwriter Mark Boal (he won an Oscar for his screenplay of The Hurt Locker) comes from a journalistic background and spent a long time interviewing people to get to the truth behind ZDT. And, if this is indeed the truth, then it makes for one of the best films you will see this year, bearing out that old adage that truth is definitely stranger than fiction.